I have owned a lot of those over the years... Finally have stopped but it has been difficult. Almost pulled the trigger on a very cool 1966 Ducati Cadet 100 on EBay last week... No bidders at $800. Stop the madness!!!!!!!!!!!!!!!! Same here! I'm eyeing a Concours but if I buy it, I'll be sleeping in the garage with it! "I love this car so much its ran from angry red necks in Cali that wanted to kill me I once had to jump out of a two story building and run away from an angry black guy in a donk cutlus and 5 non fat gals made the worst mistake by sleeping with me in it"
Interested in a nice '76 XS650? I owned a later version! Fun bikes. Rode it from Seattle to Arizona ans back. Found I could do about 350 miles before my hands and feet were so numb I could not feel them. Traded it off for a bunch of parts and a frame plus cash back in the '80's. For anyone that wants to get into dual sporting and light adventure riding, this is a good deal. Not mine and don't know the seller, but would buy this if I was in the market. Gel seat , lowering kit, heavy duty rack with Suzuki bag, extra sprockets, still have original seat [ like new ] original rack [ like new ] Matching Fox dual sport helmet [ like new ] included ! Almost all miles highway [ used to commute ] Great on asphalt or dirt ! Brand new battery ! I just knew if I typed "Cafe Racer" into the search section on CL I'd come up with some real winners. The latest gem is this heavily customized old '81 CB750. Apparently, "heavily customized" means the removal of the front fender and side covers, a change to an ugly flat seat, and painting everything black. This wonderful creation can be yours for only $3400...........ugh! Isn't that what a cafe racer is? 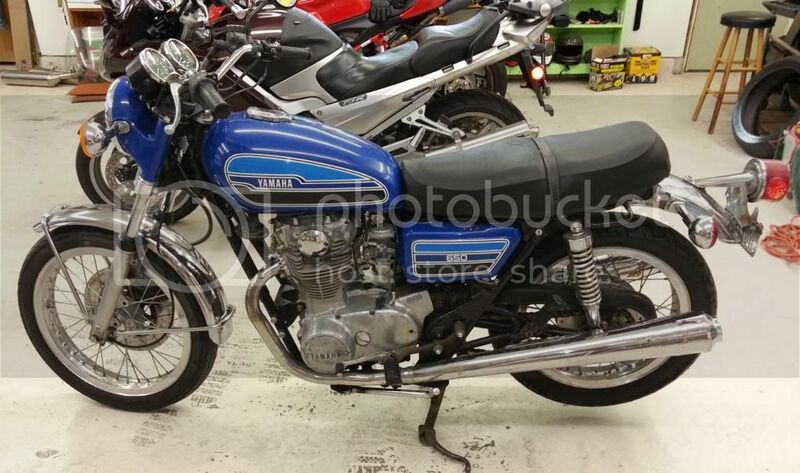 Same story with this bike: 83 gpz550 This bike has been on craigslist since I have moved out here in august of 2015 and the price has only changed from 3500 to 3000. Ugly and overpriced if you ask me. Yup, you think that nutter would get a clue, but then again CL doesn't cost anything. Yeah I think he charged extra for the "custom" tank dent. Or maybe it's the cool custom rear fender. Please, somebody shoot me if I have to keep seeing crap like this! Yamaha WR250X for $2500 Seems legit. Bike will be sold with a bill of sale and something saying I'll get the title if you please. I just knew if I typed "Cafe Racer" into the search section on CL I'd come up with some real winners. Same with "custom" sportbikes (custom cruisers/choppers/bobbers actually look mostly good if you're into that kinda thing). Search for "custom" sport bikes and most all of them are basically "It's been down one at least one side at one point, and I didn't want to return it to original, so I made this monstrosity instead." Custom 2003 Ninja 250 cafe racer for sale - take plastics off, put on ugly head light and paint seat brown. 2005 GSXR 1000 Cutsom - with this marvelous quote, "This motorcycle is not your average hacked up streetfighter." You're right, this one has a radar detector on it. As to the 2005 Gixxer that Andenthal found for sale in the posting above, my wager is that this is a painful proctological exam only one chuckhole away. I must be living in the past. All these Craigslist ads for "Cafe Racers" look nothing like what my image of a cafe racer is. Of course, that may be part of the purpose behind this thread but, jeez, doesn't anyone know what one really looks like? Single seat, lightened bike, clip ons, nifty large headlight. This Honda is a beauty. Not likely you will find it or anything like it on Craigslist.